Budapest is a gem in Central Europe. 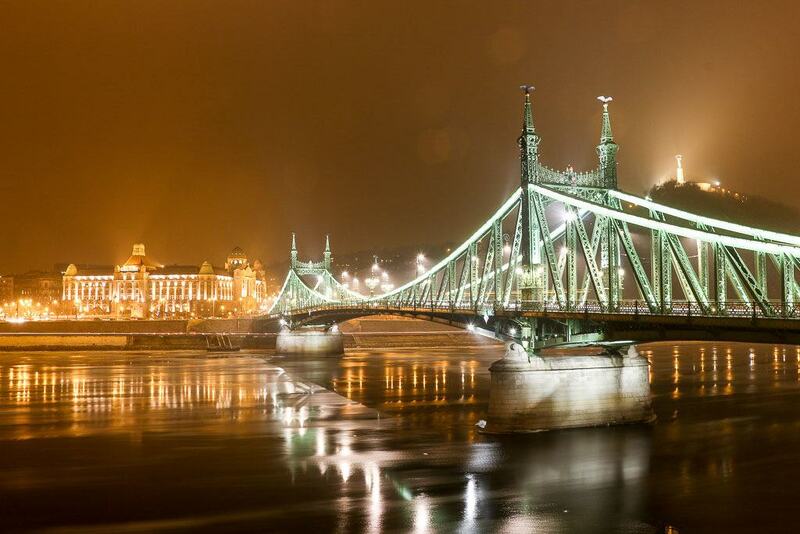 Hungary’s capital is known for its stunning architecture, history, baths and nightlife. 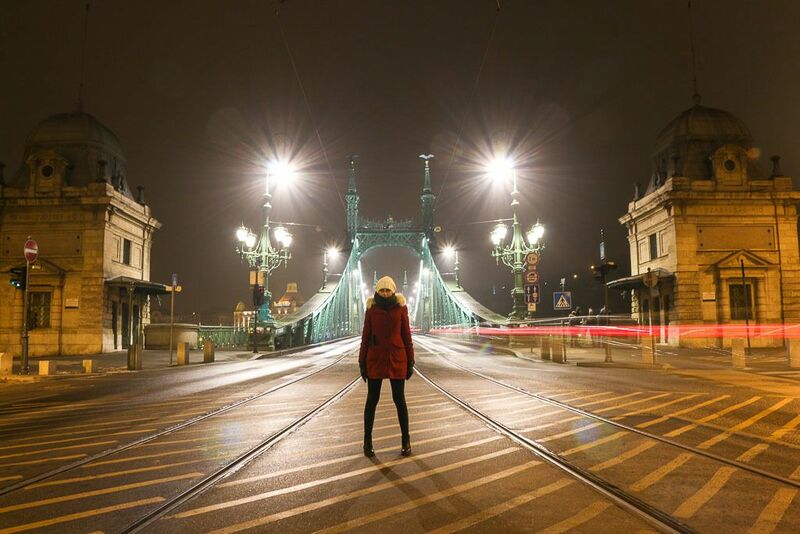 The truth is that there are so many things to do in Budapest that even if you stay there for a week you won’t be able to visit and see everything. But the good news is that in 3 days in Budapest you can enjoy the top attractions and get a taste of this amazing city. So what are you waiting for? Read our guide of what to do in Budapest in 3 days and start planning your next weekend getaway. We have visited Budapest twice. First time during spring and the last trip we enjoyed Budapest in winter, a cold but beautiful experience. The thermometers were marking temperatures below zero, we got a heavy snowfall and the Danube river was frozen. The city was stunning, magical and freezing. Our guide for 3 days in Budapest works for all seasons, so doesn’t matter when you’re traveling to Budapest, you can always enjoy the best places and iconic sights. The city is huge, but most of Budapest top attractions are located close to the city center in Pest and the castle at the Buda side. That’s a curious thing, not sure if you already know, but Budapest is divided by the Danube river in two sides, one called Buda and other Pest. Buda is the side of the city where you will find the castle, some governmental buildings, and a more fancy vibe. Pest is the busiest part of the city, where you find the Jewish Quarter, the famous food market and some of the must visit places in Budapest. As we are talking about the regions of the city, let’s have a quick look at the best places to stay in Budapest. The best hotels and apartments you can book for you 3 days trip. There are many hotels and places to stay in Budapest, for any type of traveler, style, and budget. The list of hotels in Budapest in gigantic, but we can narrow down and give you some suggestions of the best places to stay in Budapest. The biggest offer of hotels and hostels are on the Pest side, close to the city center. From 5 star international hotels to cozy hostels and some boutique apartments, most of them close to the top attractions in Budapest. If you really want to be close to everything and make the most of your 3 days in Budapest without using public transportation the best area to stay in Budapest is the inner city or district 5. If you want something more luxurious you can book a room at the top hotels in front of the Danube River, like the InterContinental, Sofitel, and Marriott. The Four Seasons Gresham Palace Budapest is one of the most luxurious hotels in the city, its building is a masterpiece and in a prime location, facing the famous Chain Bridge. You can book the best place to stay in Budapest via Agoda and Booking.com. Airbnb is also a good option for places to stay in Budapest. We stayed in one apartment at the District 7 and another one close to Andrassy Avenue. Sign up to Airbnb here and get up to 30 usd in credits to use on your first booking. To rent a studio or a room in someone’s house is a good way to save money and get to know local people. Now that you know the best places to stay in Budapest let’s talk about your itinerary and places to visit. As you are only staying in Budapest for 3 days, you need to fit as many activities as possible on your 3 days itinerary. Here is our suggestions of what to see in Budapest in 3 days. Iconic places you should visit on your first time in Budapest, a little taste of history and art, relaxing baths, good food and some hidden gems. Wake up early and be ready for a good walk. Your first time in Budapest should be dedicated to the castle and its beautiful surrounding. 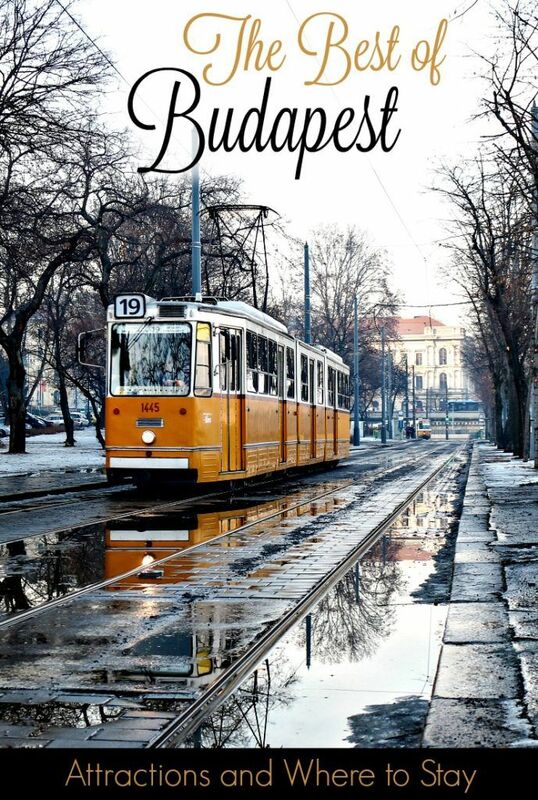 Get a tram to the Buda side and let’s explore the top attractions in Budapest. The impressive 200 rooms palace is a place you must visit in Budapest. At the top of the hill it offers a stunning view of the city and there you can find the Hungarian National Gallery, the Budapest History Museum, and the National Library. Walk around the castle and further to the Mathias Church and the Fishermen’s Bastion. The streets are packed with historical buildings and the view you have from the Fishermen’s Bastion is impressive. You can go up to the castle by foot, it looks steep but it’s a pleasant walk. Or you can hop on the funicular. If you decided to go by foot, I would recommend to walk up close to the funicular entrance and then come down by the Fishermen’s Bastion. There are some restaurants close by the castle where you can grab a snack or lunch. Once you are back to the banks of Danube you can catch another tram or walk for half an hour to the Hungarian Parliament. If you decided to walk you can take two routes. The first one you can cross the famous Chain Bridge and walk towards the parliament building and on the way you will pass by the “the shoes by Danube banks” a sculpture made in memory of the people killed during the second world war. This is the fastest way to the Hungarian Parliament. The second way is a bit longer but them you will have the best spot to take a photo from the parliament building. You go down from the castle and walk on the Buda side towards the Margaret Island. Before reaching the bridge you have the perfect spot by the river to take photos from the Hungarian Parliament. After the photo shoot keep walk and cross the bridge back to the Pest side where you can enjoy a visit to the parliament. The Gothic building has 365 towers, and inside you can see the Hungarian Crown and Jewel. By the end of the day, you will be tired of walking and ready for some beer and fun. 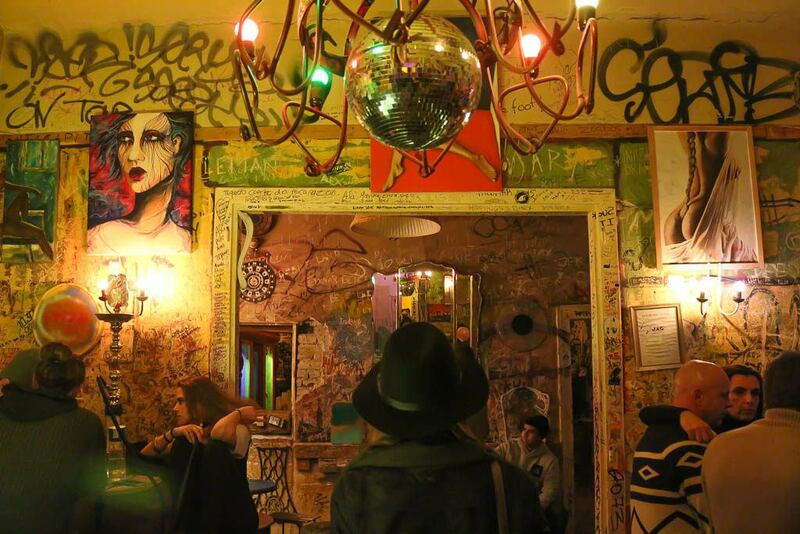 Your trip to Budapest won’t be complete without a visit to the iconic ruin bar. In the heart of the Jewish quarter, Szimpla Kert is the number one ruin pub, a place that has inspired many other pubs in Budapest. It’s hard to describe this place, it’s weird, quirky and interesting. You must see it by yourself. The bar is made of second-hand furniture, spare pieces of cars, art, metal and any kind of material that can be turned into decoration. Go for one beer or two, there are many rooms in the bar, so you can choose the best music, scenery, and crowd. Your 3 days in Budapest will be a mix of history, sightseeing, and baths. So on the second day let’s go for a walk around Budapest city center, a place with nice buildings, pedestrian streets, local and international shops. To finish the experience some nature and thermal pools. It’s the largest and tallest church in the city. It has a beautiful interior and you can climb all the way to the tower to see the city from above. 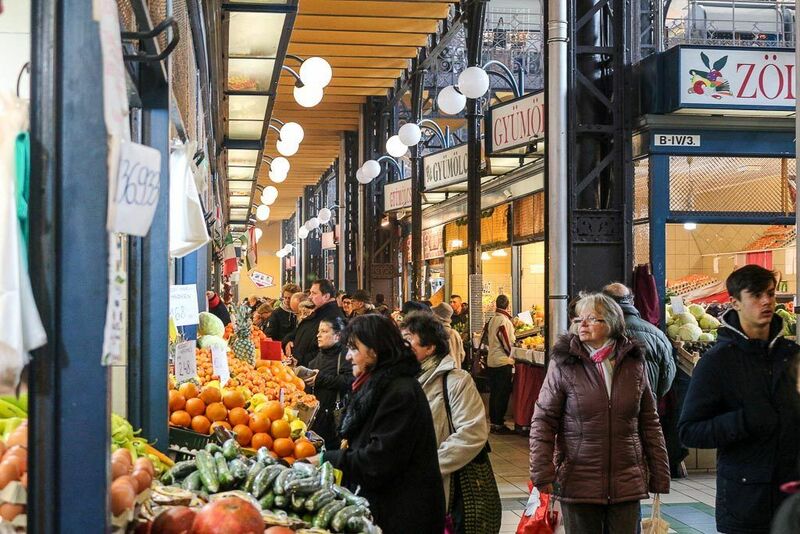 After visiting the Basilica go for a walk towards the Great Market Hall. It will be 30 minutes walking via the Vaci Utca, a pedestrian street full of local and international shops. The best place for a retail therapy or to buy some souvenirs to take home. On the way, you will find many restaurants and cafes but hold on your craving for our next stop. This is a food paradise, with all local products and local cuisine. At the ground floor, you can buy fruits, veggies, sausages, cold cuts and the traditional Hungarian paprika. After shopping head to the first floor for a traditional lunch. If you fancy something really local, go for a Goulash soup. After your food extravaganza take a tram and go all the way to the Heroes’ Square, is around there that you gonna spend your afternoon. At the square, you can visit the Museum of Fine Arts and The Hall of Art, two impressive buildings facing each other. 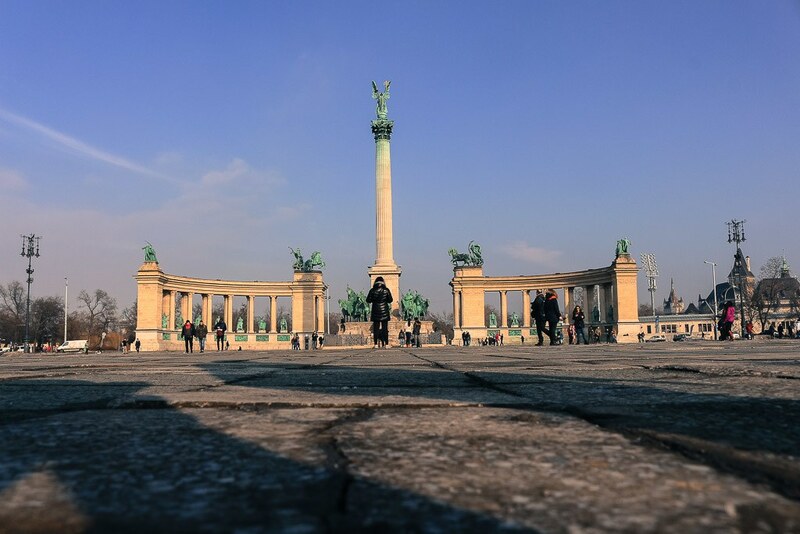 If you feel like exploring more historical sites you can walk from the square towards the Andrássy Avenue, where you will find the House of Terror, Budapest Opera House and the stops for the Millennium underground line, the second oldest metro line in Europe that is still working. The Andrássy Avenue is famous for the art nouveau buildings, theaters, cafes and expensive shops. If after lunch you want to relax surrounded by nature, you can take the opposite way. Walk by the Heroes’ Square in direction of the City Park. 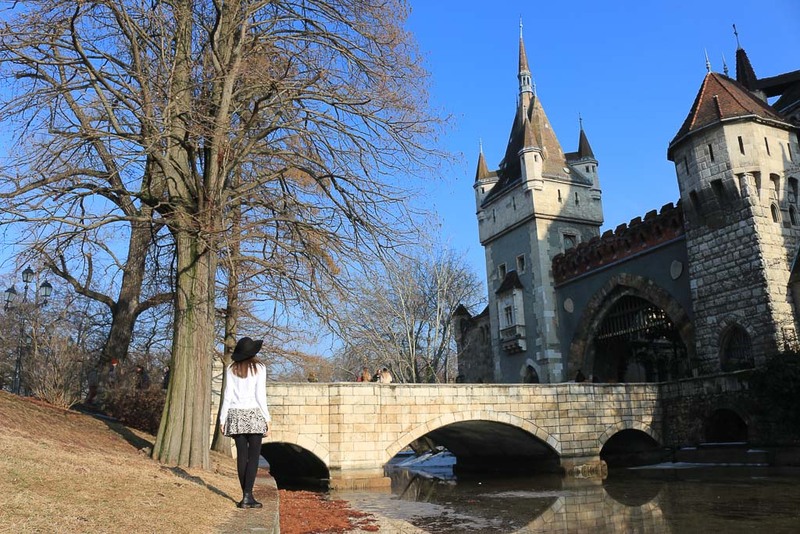 At the park, you can visit the Art Nouveau-zoo and the cute Vajdahunyad Castle. Despite having the name of a castle, the complex is not an original palace, it was built in 1896 and represents various Hungarian architecture periods in only one building. Close by the Vajdahunyad Castle is the Széchenyi Thermal Bath, a place you must visit in Budapest. In your 3 days in Budapest, you need to go for a bath at least once, and Széchenyi has everything you need. The complex has 21 swimming pool, sauna, massage, restaurant and all kinds of treatments to make you relax. The building is beautiful, and it’s open every day for man and woman. Even during Budapest winter, you need to face the cold and swim at the outdoors pools, it’s an experience like no other. There are other thermal baths in Budapest that are worth the visit. The Gellért and Rudas at the Buda side are famous too. But as you are only 3 days in Budapest, I recommend you to go first to Széchenyi, and then if you have spare time check the schedule and the rules to visit the other ones. The first two days were all about tourist attractions in Budapest, historical places to see and visit. Now it’s time experience Budapest, catch a glance of unique things to do in the city and visit special places. Time to unveil some romantic stories of Budapest. Discover small theaters, concert halls, stunning buildings and walk around narrow streets. 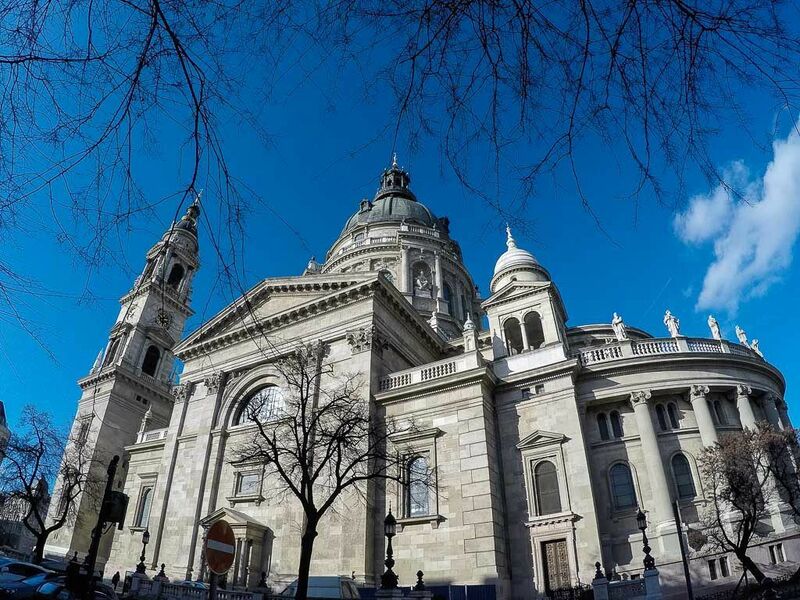 You have visited all the top attractions in Budapest, so let’s enjoy a walking tour that will bring secret stories alive and will give you a different perspective of the city. I believe that tours like this are perfect for the last day when you are tired to search for things to do by yourself and already have some knowledge about the city, what makes you ready to explore more. We booked our Hidden Budapest Walking Tour with Unique Tours Factory, a company that offers local tours around Europe, all of them with a different approach. We started our Hidden Budapest Walking Tour early in the morning, so we got the city on a waking up mood. Beautiful and Interesting! We started by the Budapest Opera House, walking towards the Jewish Quarter, in almost every corner a new story, sometimes about music, other about arts and even about the wars. We learned a lot but in a fun way, not boring at all. Totally recommend it, we would be able to see and discover so much about Budapest if we kept wandering around the city by our own. To wrap up our tour we stopped by a lovely cafe inside a theater, its interior is a stunning art nouveau masterpiece. And things were only getting better: the coffee was delicious and the traditional pastries yummy! Book in advance your Hidden Budapest Walking Tour, it takes only half of the day and you will enjoy it a lot. I suggest you do it in the morning, so you can enjoy the afternoon and the evening in the city from a different perspective. 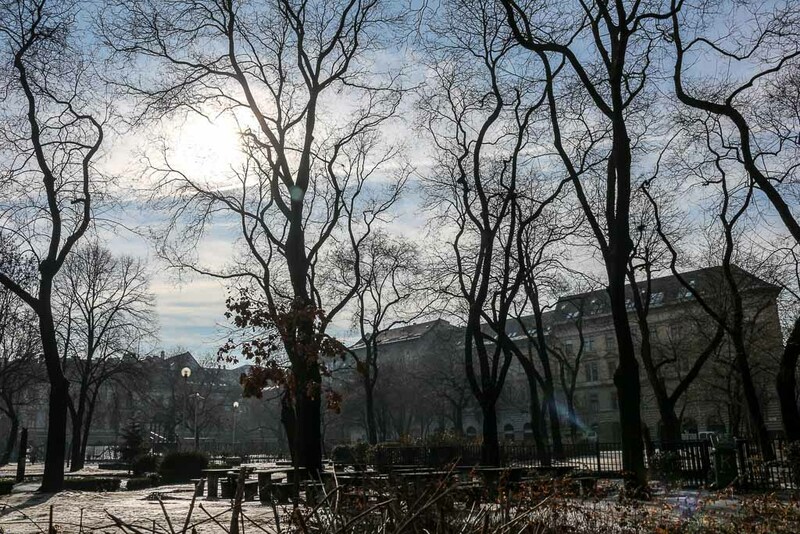 Probably your walking tour will end close to the Jewish Quarter, so stay longer and get to know a bit more about this historical site in Budapest. The Jewish Quarter was a booming area, full of bar and artistic shops, but during the WWII it turned in a Jewish Ghetto, where over 60,000 people were trying to survive. After the war, it took years to rebuild the neighborhood and bring life back. Nowadays it’s the address of trendy restaurants, bars, and the famous Synagogues. Walk around the Jewish Quarter is a must for any traveler that visit Budapest. Not only for the history but also to experience a new side of the city with amazing streets arts and interesting people. This place was named the most beautiful cafe in the world, so I don’t need to say anything more about it. Opened in 1894, the building has an Italian Renaissance style that will leave you speechless. The cafe is located inside the Boscolo Hotel and for years It was the official address for European artists. It survived many changes in Hungary’s political and economic system without losing its elegance. All this comes with a price, the meals and the afternoon is not cheap, but even if you are traveling on a budget it’s worth to stop by and have a coffee. 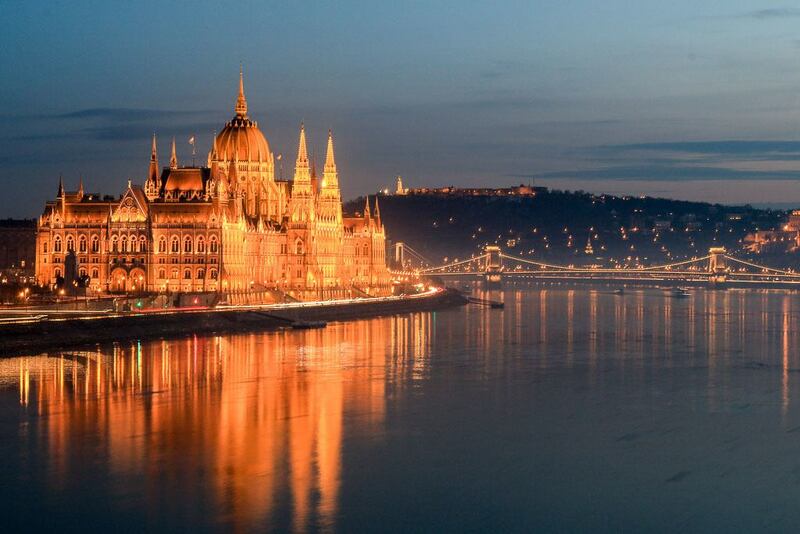 Our last recommendation is about traveling to Budapest. The city is well connected with international flights, buses, and train lines. Budapest is in central Europe, easy to get in and out. For the best flights, I suggest you search and book via Skyscanner or Kiwi.com, we use them and love it. We traveled to Budapest was by train, we did a 3 months trip around Scandinavia and Central Europe using the Eurail Pass. It was our second Eurotrip using the Eurail Global Pass and for me, it’s the best and easiest way to travel across Europe. All the details about the Eurail Pass and how you can travel with it are in our comprehensive guide. Before Budapest we traveled for almost a month in Northern Europe, check out our travel guides to Amsterdam in Winter, What to do in Stockholm, how to see the Northern Lights in Rovaniemi, Finland and also an ultimate guide to travel in Scandinavia by train. On these posts, you gonna find tons of inspiration and advice for your next trip to Europe. Here is the end of our 3 days in Budapest guide! 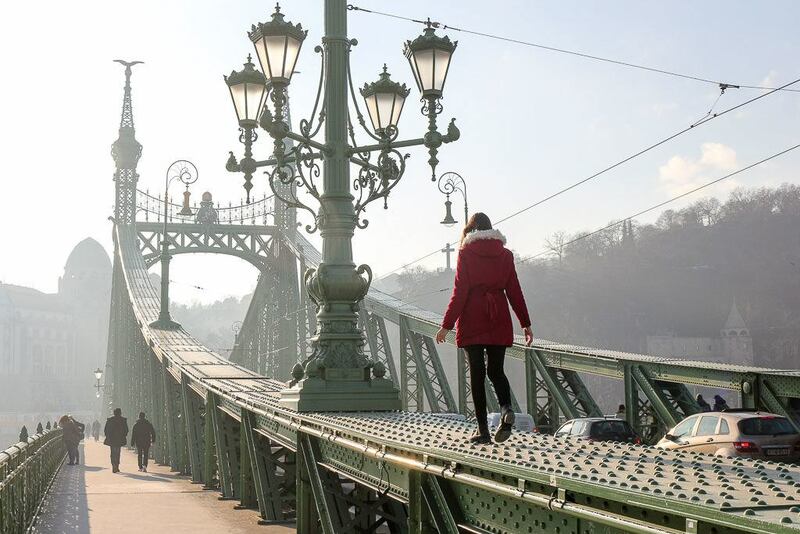 We’ve mentioned the top things to do in Budapest and places you must visit. 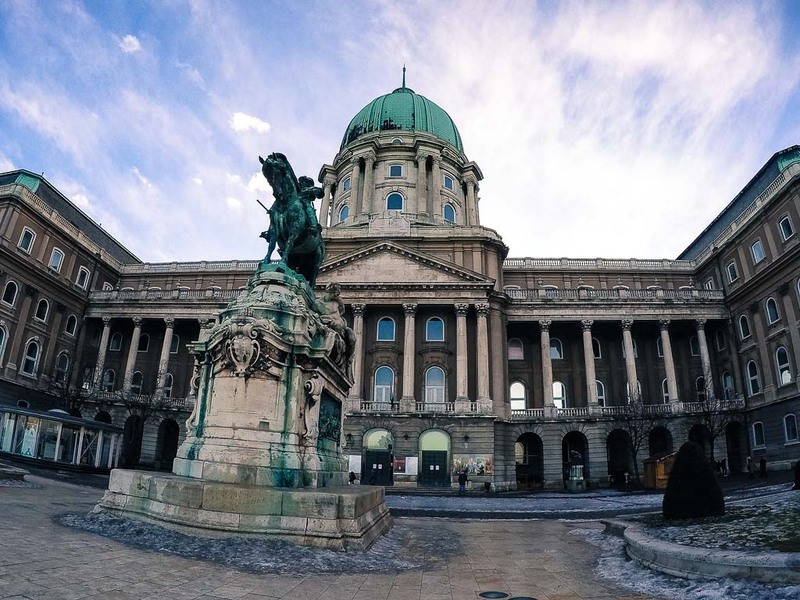 If you plan your Budapest itinerary wisely, you can visit all these attractions and more, and I’m sure after seeing all these beautiful places you won’t want to leave. That’s why most of the people end up traveling to Budapest more than one time, just like we did. Hey Natalie, found this article quite helpful. Researching on options to travel to Hungary within a budget. Could you please share the details of the expenses for a couple, with a mid-range stay? that would help! We will be traveling from India. Thanks! It depends on each one style and preferences. A good hotel can be found around USD 100 per night. Meals can vary widely, from USD 6 to over USD 25 per dish. How do you pay for public transport in Budapest? You can buy the tickets at Ticket Vending Machines with cash (Hungarian Forint) or bank card.